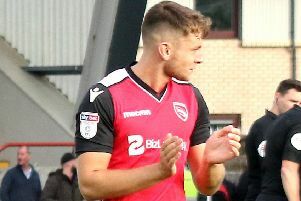 Morecambe boss Jim Bentley is hoping for a bumper crowd for his side’s seaside derby against Blackpool on Saturday. The sides have been poles apart over the years but the Tangerines’ rapid decline from the Premier League to League 2 means they head to the Globe Arena for a first Football League meeting this weekend. Visiting fans are expected to turn out in large numbers for one of their shortest away trips of the season and Bentley is looking forward to a carnival atmosphere for The Shrimps’ first home game of the new campaign. He said: “It’s a big game for us. “It’s our first home game of the season and it is against a massive club who were in the Premiership only a few years ago.